It would make sense to assume that getting arrested and going to rehab (twice) would humble Luann de Lesseps. Unfortunately, that’s not what happened. She’s a cabaret star now. And she’s let the Jovani gowns inflate her already-massive ego. 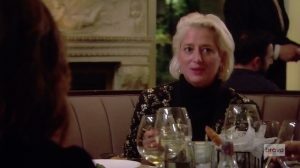 She asked Dorinda Medley to arrange yoga classes during their visit to the Berkshires as if Dorinda is running some sort of resort. Maybe Lu just missed the group meditation at rehab? Not only that, but Lu also asked Dorinda to book massages. Why didn’t she just stay at a hotel instead? And then, after demanding all of those requests Luann stormed out because of her room assignment. Looking back on the (absurdly dumb) fight, Sonja Morgan blames Ramona Singer for instigating. 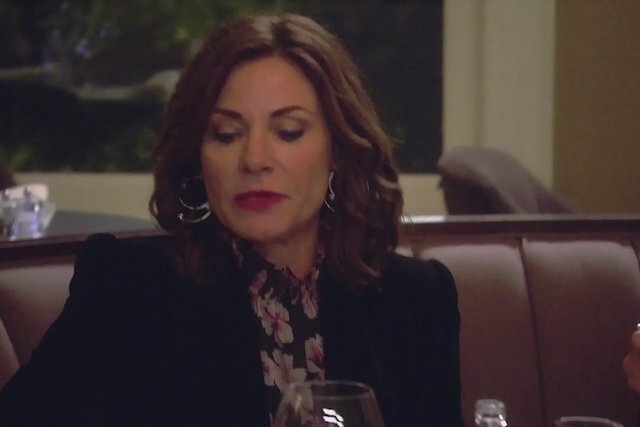 Last week on the Real Housewives of New York, Luann de Lesseps and Dorinda Medley ended up in the same room, twice. That was progress (sort of) in their ongoing feud, which is the major storyline of Season 11. First, at Sonja Morgan’s Paper Magazine party where Dorinda told Luann she loved her, which was not-at-all convincing. So only Sonja was ready to kiss and make up. In this case a “drive-by lesbian moment” with a young stunning brunette. Bethenny Frankel tried again with the duo at a gangsta lunch, which resulted in a truce. Barbara Kavovit was also there. 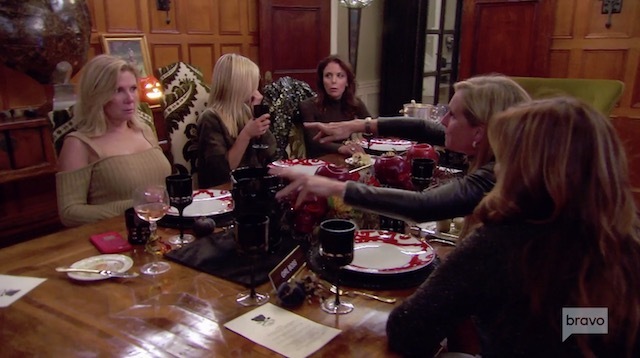 Dorinda then invited Barbara to her apartment to discuss renovations and the feud. Dorinda used the opportunity to lie when she was asked if she’d been making fun of Luann’s lawsuit with her ex-husband and children. Thankfully, the editors rolled the tapes showing the receipts. Dorinda blamed Sonja before bursting into tears and throwing Barbara out of her apartment.